Families are being invited to take part in an egg-stra special Easter egg hunt around the rooms and corridors of Tamworth Castle this April. 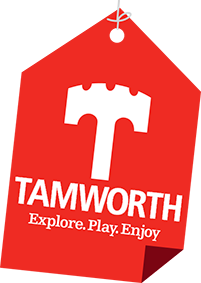 There’s plenty to keep families entertained in Tamworth during the Easter half-term, from dragon egg hunting and musical comedy, to free craft activities and sports. Participants are being invited to take part in a new exciting programme of free STRONG by Zumba sessions starting this week, to help them spring into fitness. Tamworth’s popular St George’s Day extravaganza is back for 2019 with an exciting new line-up of entertainment set to take over the Castle Grounds, with medieval-themed fun for the whole family on Saturday, April 20, from 10am – 5pm.